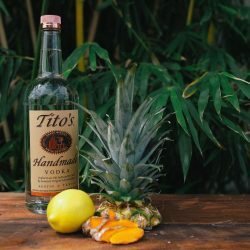 If you’re looking to mix it up at your next cocktail party, or you’re just in the mood to get crafty, infusing Tito’s Handmade Vodka is a great way to take your bartending skills up a notch. 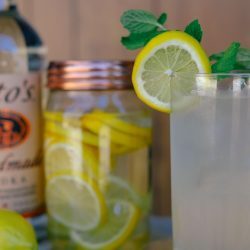 All you’ll need to create your own custom blend is a bottle of Tito’s, fresh ingredients of your choice, and a sealable container—we recommend infusing directly in the bottle (just take a sip first to make some room), or in our Infusion Jar. Spice things up with a jalapeño infusion, or indulge your sweet tooth with a bunch of blueberries. The fresher the ingredients, the better the infusion. 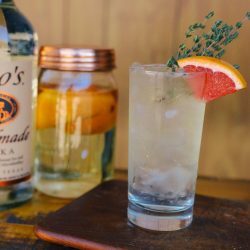 Watch how to make some of our favorite infusions below so you can start mixing your own at home. 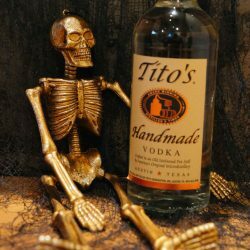 Pro-Tip: While waiting for your creation to infuse, mix up a Tito’s cocktail (or two) to pass the time. 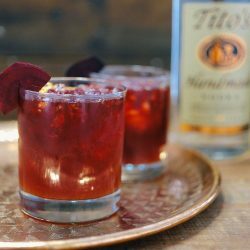 Wash one carton of your favorite blueberries and drop them into a bottle of Tito’s Handmade Vodka. Let the berries sit for 2-3 days before straining out the fruit. Once it’s a beautiful blue color, you’ll know it’s ready to taste. Pro-Tip: Pour yourself a cocktail before adding the blueberries to the bottle to avoid overfilling. This infusion is, as they say, cool as a cucumber. Wash a cucumber, slice it, and remove the seeds. 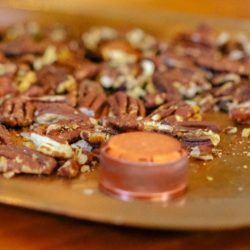 Drop the slices into a sealable container with Tito’s Handmade Vodka and let sit for 1-2 hours. Do a little taste test, and once the desired flavor is achieved, strain out the cucumbers. Spice up your next cocktail with an infusion that takes little-to-no time to make. Grab some gloves (trust us, you’ll need these) and slice up 1-2 jalapeños. 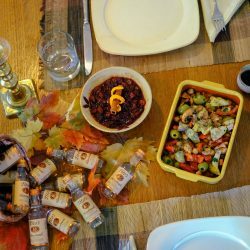 Drop the peppers in a bottle of Tito’s Handmade Vodka or a sealable container, and let sit for 10-15 minutes. It doesn't take long for the spice to kick in, so check the level of heat every 15 minutes or so, and remove the peppers when it's hot enough for you.